Talking with people who are involved in prepping and meeting them in my survival courses shows me some problems that people have while they meet other survivalists, in real life or online. This is true whether they are trying to learn something or while they are trying to transfer their knowledge to other preppers. In the end, it all comes to the few same problems that can really get in the way of your survival. One of these problems is unwillingness to be uncomfortable. Whether it is physical discomfort or mental (hearing things you do not want to hear) it is a very real problem if you cannot handle this. Everything else is a matter of will, skills, and equipment. There is a man – we’ll call him Mr. Anderson here – he is interested in survival and where the world is going these days. Of course, he is looking for information about these subjects on blogs. And then he finds the information that is worth reading and following. But one day he decides with righteous indignation to stop to following that blog because he read in that blog articles with words like “f**k” or “s**t”. He furiously dismisses everything in that article. And not just that article but the whole blog because words like that clearly show to him that the author is not a good or decent person. He refuses to read one word more. Our system made us this way. Mr. Anderson is the product of our system and society, and we are all Mr. Anderson to some extent, or at least we were at some period of time. Mr. Anderson is preparing for hell, and he can not cope with the word sh*t? Sorry folks, but that kind of preparing is just that – sh*t.
You can not prepare for a really bad time based on feelings and the norms that system gives us today – in normal times. Otherwise when SHTF you will end up again guess where? Get out of your comfort zone and look for correct information. That’s all that matters. For a lot of people reading an article with “bad” words is exactly that – getting out from the comfort zone. You think you are prepared to shoot at people who will attack your family? But you cannot cope with bad words? Nope, you are not prepared. Get used to being uncomfortable. 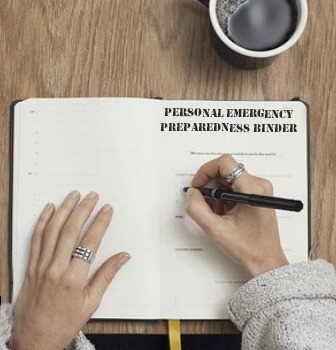 One of the main takeaways from my survival courses for me is that everybody wants to be prepared for hard times but the majority do not want to feel uncomfortable during the course. Even worse, most of the folks are preparing for SHTF but do not want to feel uncomfortable even when SHTF. During the courses, getting students outside of comfort zone is different from student to student, sometimes it is sleeping in an abandoned building with the possibility of some (some) danger. For others, it is simply lack of functional shower. But the majority of them usually get into the situation where they test their skills and knowledge while they are outside of their comfort zone, and that moment is actually when you see that your skills and knowledge are actually good. Train outside your comfort zone or you’re going to have a bad time. For those people who never tested themselves while they outside comfort zone problem is much bigger, simply because they do not realize they have a problem in the first place. 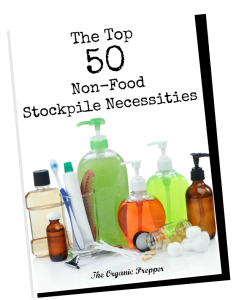 Usually, the majority of them put a lot of effort into preparing themselves to be always comfortable when SHTF. In other words, they want to live completely same life when SHTF as they are living it today and they investing money in that. In essence, there is nothing wrong with investing money in having a life when SHTF being same as it looks today – if you are a multimillionaire. If you are not then you are usually mixing up two important topics: necessity vs. comfort. Necessity is what you really have to have. Comfort is only after you’ve covered all the necessities. Your real survival skills will show up in the moment when comfort is gone. If your comfort is gone while you are reading survival posts with bad words do not run, count it like being outside of comfort zone, your real learning may start there actually. Mr. Anderson just wants to feel comfortable all the time. Mr. Anderson probably gonna have really bad time once when SHTF.